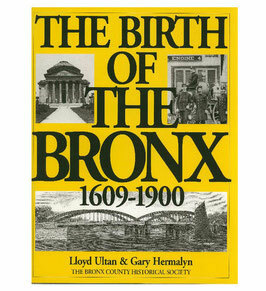 The Birth of The Bronx: 1609 - 1900 is one of four books in The Life in The Bronx Collection. This book covers the borough's growth from a collection of isolated frontier settlements to established colonial farms, past the terror of the American Revolution, to the creation of a suburban area that became part of a thriving metropolis. The story is told through the letters and memoirs of people living during this period.